Happy Monday! I've got another great giveaway opportunity for you today. 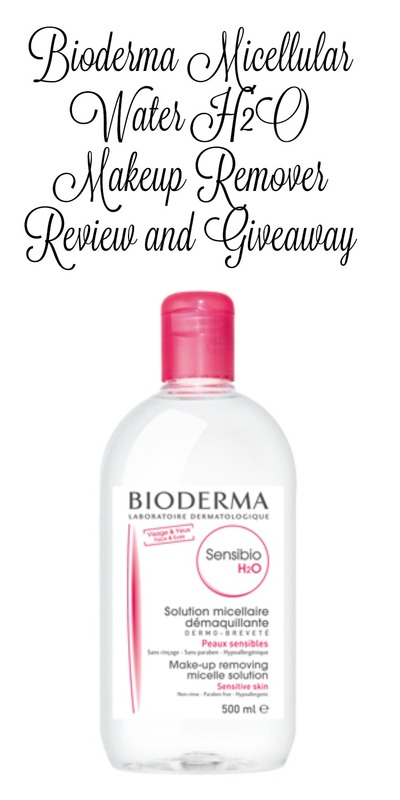 Bioderma recently sent me their Micellular Water H2O makeup remover, and they are also offering a set for one of my lucky readers! Keep reading to learn more about it and then enter to win one for yourself. Since the 1970s, Bioderma has been creating skin care products based on biology. They use science and knowledge about our skin to create products inspired by our own nature. They create products that help balance our skin and let our bodies use its natural resources to recover. Bioderma has product lines for different skin types. They only use a few ingredients in each product, and they don't use questionable ingredients. 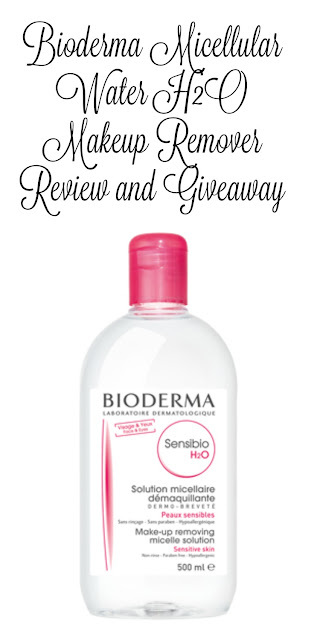 The makeup remover that I received is from the Sensibio line, which is for sensitive skin. Although I don't classify my skin as sensitive, some ingredients to irritate me. This was a great mild makeup remover, and it didn't irritate my skin at all. We really put this to the test last weekend after my daughter's play. She wore stage makeup, so she had on quite a bit of makeup. We used cotton balls and the Micellular Water H2O to quickly remove it. It's safe for your face and eyes, which I like because then I don't need to buy two products. That also helps me save room in my makeup cabinet--and we can also use more room there! Want to try it for yourself? Enter to win a 250 mL bottle and a 100 mL bottle for your travel bag. 18 and up with a US address only. Good luck!